Breaking Through With Georgiann » Blog Archive » Do You Want to Be Healed or Cured? Do You Want to Be Healed or Cured? Click the play button above to listen to the show! There are moments in life powerful enough to change us instantly and forever. Far too often, though, these moments come when we aren’t aware enough to notice, lost in the dramas of yesterday or our plans for tomorrow. There are life-changing lessons in the things that happen to us everyday that we can learn to use to make our lives better. The author of “Dying was the best thing that ever happened to me”, and the new book, “It was only a moment ago”, Dr. William Hablitzel has heard moving and healing stories that offer the gift of wisdom. Take a journey into the private world of modern medicine. Discover the profound difference between the curing of disease and healing of people and meet Dr. Hablitzel’s greatest teachers, the patients he has cared for. Dr. Hablitzel will share ways that you can start to heal from the pain, trauma, sadness and disease that often take over our lives. 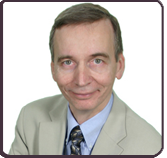 With wisdom that he has gained from his decades as a doctor and from the stories of his patients, Dr. Hablitzel will offer you a different way to look at your life. Just had one of those momements ago will buy the book in may good lord willing…and I will be out of debt then. Been a tuff three years Glad to fine you on face book. Oh yes were spirtual beings , having a hunminestic expirence. But the beat of all was Mother T.said. In the final analisis of life its between you and God. Shows are for Entertainment purposes only. The broadcasts on georgiann.com and its affiliates are presented and made public in the hope that they will be entertaining to the "Breaking Through" listeners. The shows are not intended to diagnose, treat or mitigate in any way any disease or condition or to promote any specific lifestyle, belief, religion, political affiliation or any other personal practice.